Cameco has contracted Athabasca Catering since it began operations in 1992. 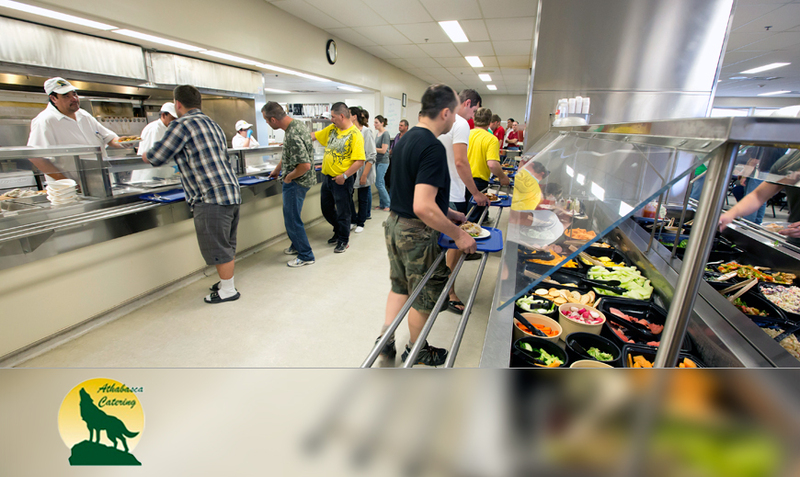 They consistently provide high-quality catering and food services, housekeeping, and janitorial services at all Cameco’s northern Saskatchewan operations. Athabasca Catering has been in operation since 1992 and specializes in a broad range of food services, housekeeping, janitorial, mobilization and camp management services for Saskatchewan’s mining industry and industrial developments. They contribute to the high quality of life at Cameco’s remote camps through hearty, nutritious meals and a safe, clean, well-supplied camp environment. Maintaining a large workforce of almost 500 people, about 75% originate from communities in the Northern Administration District. Their head office is located in Saskatoon, Saskatchewan. Athabasca Catering is owned by five first nation partners including: Kitsaki Development Corporation (owned by the Lac La Ronge Indian Band), Black Lake, English River, Fond du Lac, and Hatchet Lake. Kitsaki is the managing partner. For more information or to learn about career opportunities with Athabasca Catering, please visit the Athabasca Catering website. Since 1988, Cameco has contracted NRT to transport a wide variety of equipment, supplies and uranium products. NRT’s expertise in navigating the challenging northern Saskatchewan’s roadways, combined with their ability to meet our regulated handling and transport requirements, are valued attributes. 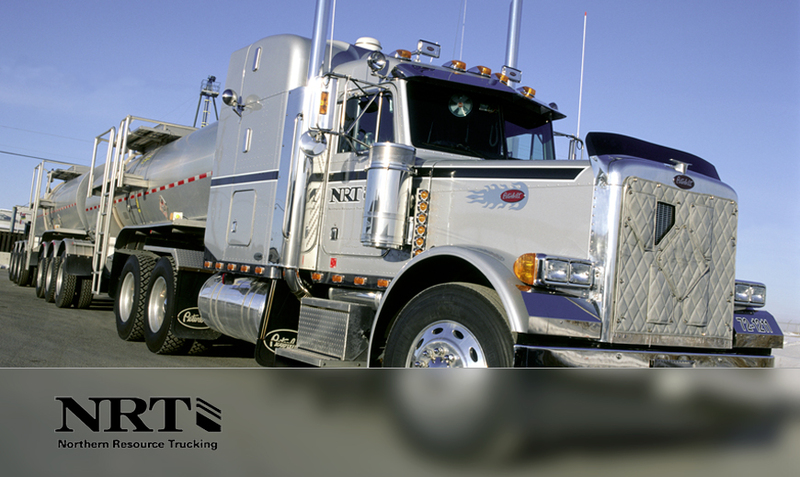 Northern Resource Trucking (NRT) specializes in the transport of resource commodities and general freight to and from northern Saskatchewan. Their fleet of highly-trained professional drivers navigate high gross equipment and materials year-round. To build local capacity, in 1989, the company established the NRT Training School in La Ronge, a facility dedicated to SGI-accredited driver training. NRT’s head office is based in Saskatoon, Saskatchewan. For more information or to learn about career opportunities with Northern Resource Trucking, please visit the NRT website. Cameco contracts PBN to provide general construction and maintenance support, roadway maintenance and environmental waste management services for Cigar Lake and our McArthur River/Key Lake operations. 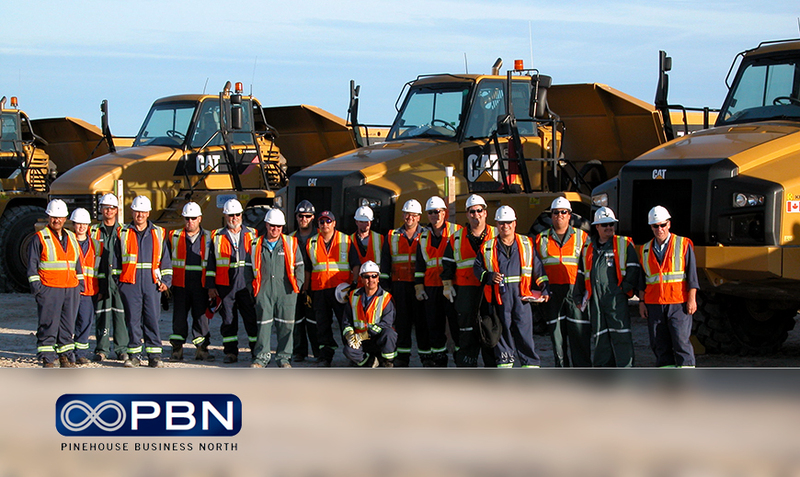 Pinehouse Business North (PBN) is a northern Saskatchewan Aboriginal-owned and operated company specializing in construction and maintenance, waste management and general labour services for the mining industry. For more information or to learn about career opportunities with Pinehouse Business North, please visit the PBN website. Since 2000, Cameco has contracted a wide variety of construction, maintenance and specialized project installations from Points Athabasca at all our sites. Their contributions to the development of the Cigar Lake operation through construction and commissioning stages have been significant. Points Athabasca is a diversified general contracting company. Since 1999, the company has developed expertise and service offerings in industrial, underground mine, and earthworks & infrastructure divisions. Points Athabasca believes strongly in building beyond the project. Their slogan “Building Capacity” speaks to a high level of commitment and success in engaging people in local communities. The Points Athabasca head office is located in Saskatoon, Saskatchewan. Controlling ownership of Points Athabasca is held by the Athabasca Basin Development company, an investment firm owned by seven Athabasca region communities including Black Lake First Nation, Camsell Portage, Fond du Lac First Nation, Hatchet Lake First Nation, Stony Rapids, Uranium City and Wollaston Lake. 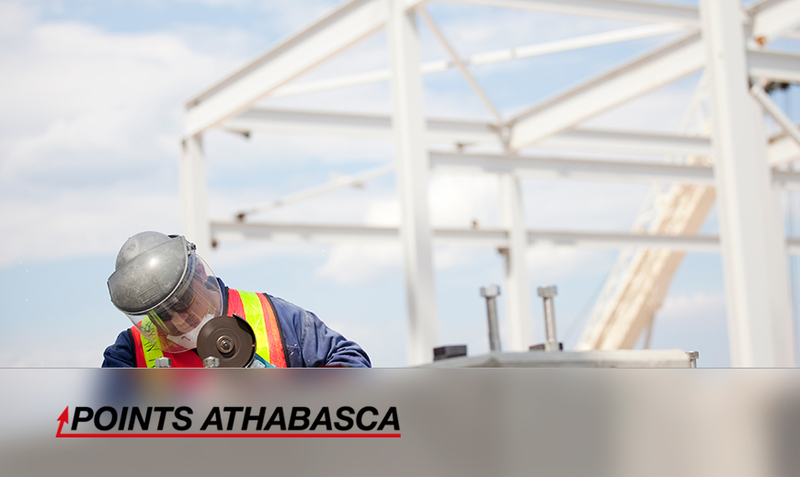 For more information or to learn about career opportunities with them, please visit the Points Athabasca Contracting website. 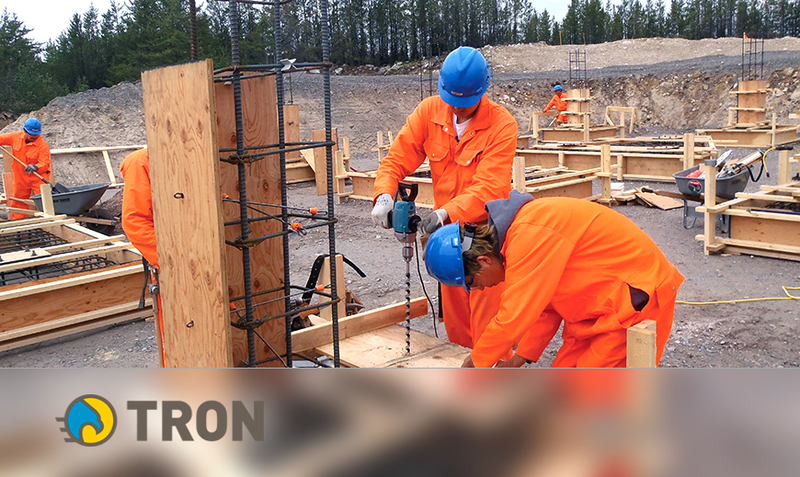 Tron was one of the first northern Saskatchewan contractors that Cameco began working with, almost three decades ago. Today, they continue to provide their expertise in a wide variety of construction and maintenance projects at our northern Saskatchewan operations. Tron provides a wide range of infrastructure and construction services and has been a significant contributor to Saskatchewan’s mining industry for decades. The company remains deeply committed to investing in Aboriginal training and development and more than 70% of its workforce comes from northern Saskatchewan. Tron’s head office is located in Saskatoon, Saskatchewan. Founded in 1985, Tron was acquired by English River First Nation through the Des Nedhe Development corporation in 1997. For more information or to learn about career opportunities with Tron, please visit the visit the Tron website.